When you’re planning a soundtrack for your wedding, there are three aspects you have to keep in mind: what kind of music do you and your future spouse like, what kind of music do you know that your guests love to dance to and MOST IMPORTANTLY, how do you incorporate both types of music to create a playlist that you AND your guests can have fun dancing to all night long? If your tastes in music are anything like mine, you’d know in advance that NOT ALL the music that you enjoy listening to is music that you can dance to and there’s a chance that your guests may not agree with your music choices. Not only that, you may not agree with your guests’ musical choices either. How do you avoid a sticky situation where no one enjoys the music and they don’t want to dance? Do your research into the songs that you enjoy, surely there must be a few rock, rap, pop or alternative songs that people could at least slow dance to. Then create a playlist with some of your favorites as well as some dance-worthy music that you don’t find cringe worthy. Personally, I’m a huge fan of Usher (mostly early 2000’s), old-school Boyz II Men and some Kanye West that could be considered dance-worthy. So, what’s the easiest way to create your own playlist and have a guest or family member manage your wedding soundtrack for you? I’ve got top 5 of the best apps and websites for creating and managing your wedding soundtrack and getting you the kind of music you want for your reception. Why It’s Awesome: After you download the app (for an iPod), make a playlist using your Spotify premium account OR make one from any account and subscribe to it later using a mobile device that’s logged into the premium account. 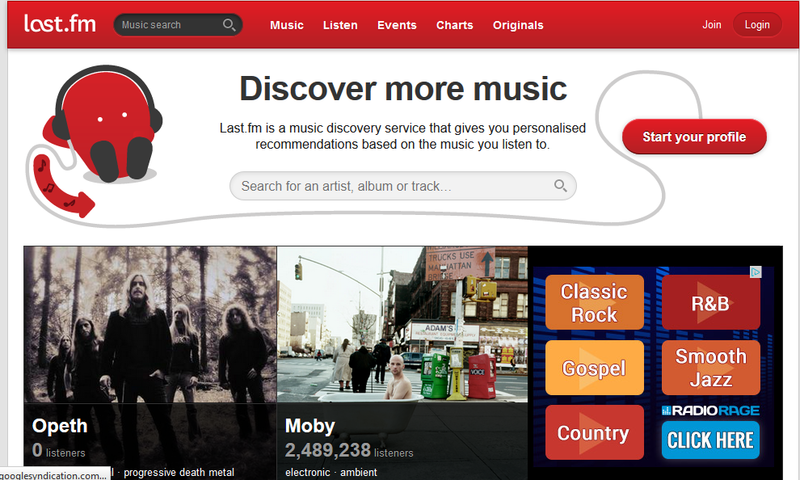 Set the playlist so that it’s available offline on the mobile device of your choosing. If you’re using a iPod Touch, you need wi-fi long enough to “download” the playlist. Spotify lets you download temporary files to your iPod which last 30 days, at which point you’ll lose access and have to log back in and re-download. Test your setup wherever you plan to have the ceremony, preferably with some of the same songs you’ll be using to see how they sound and how loud they should be. Why It’s Awesome: Great for the iPhone, iPad and iPod touch, you can play songs and playlists that are already on your iTunes! It helps you create a Music Plan using your songs and playlists, suggests parts of your wedding you need music for, there are no awkward silences as it fades gracefully for all pauses and stops and crossfades between songs and when you skip a track. It prevents accidental skipping or pausing, takes requests, waits between each song or playlist. Why It’s Awesome: You can literally find any form of entertainment that will play any kind of music you like. 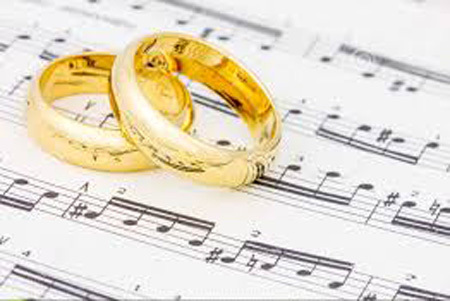 From jazz and bluegrass bands to violin soloists, singers and DJs, you can find entertainment to fit your wedding music needs. You can even hire world bands who play Caribbean music, a Beatles tribute band and other entertainers as well such as impersonators, magicians and clowns. It’s definitely the go-to website to hire all kinds of musical and other entertainment. Why It’s Awesome: You can search for all kinds of artists and play their albums for a fee through the Android and iPhone apps, listen to the radio, create playlists and it even has personalized radio stations based on music and playlists you’ve previously created. They have full albums available for all kinds of artists from Incubus to Imagine Dragons, Daft Punk to Kanye West. 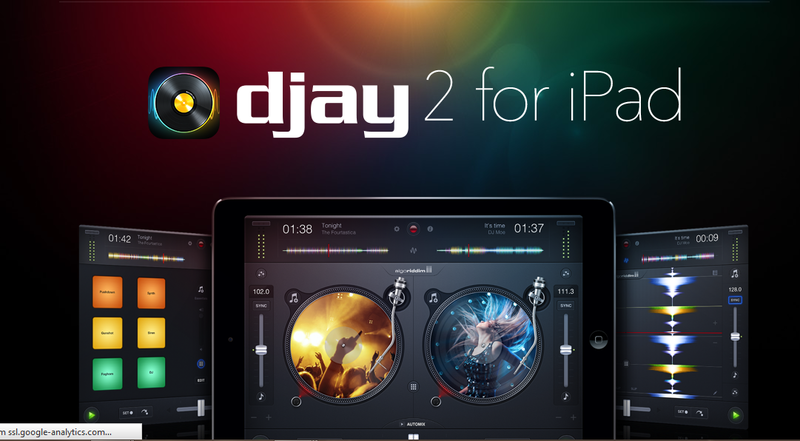 Why It’s Awesome: For the budding DJ, djay gives you instant access to all your existing songs and playlists on your iPad. Browse your entire music library and easily play, mix, and scratch your favorite songs as an iPad DJ. In Automix mode, djay mixes your favorite iPod playlists with seamless DJ-style transitions. You can customize Automix to your liking by adjusting various transition options such as style, duration, shuffle, and auto-sync. djay’s sophisticated on-the-fly song analysis calculates the beats per minute (BPM) and exact location of each beat, laying the groundwork for a host of other features including Auto-Sync and beat-synchronized scratching. djay’s advanced audio wave form display gives you an overview of a song’s structure and allows you to visually cue to specific points to prepare the prefect transition. Auto-Cut Scratching automatically applies the rhythmic pattern of the currently playing song to your scratches in real-time. Simply touch and move the record with two fingers to create stunning effects and go beyond the possibilities of the analog world. 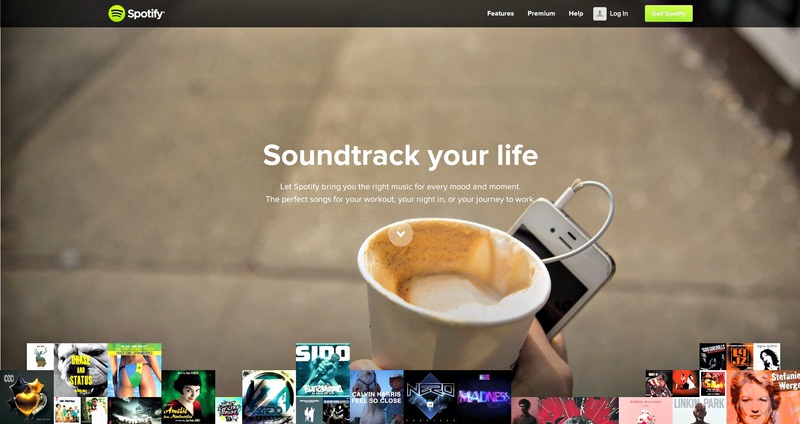 What makes these websites the best for creating an awesome soundtrack for your wedding? Well, it goes beyond just having a playlist and it incorporates everything from DJs to live bands and all genres of music that fits absolutely every wedding. 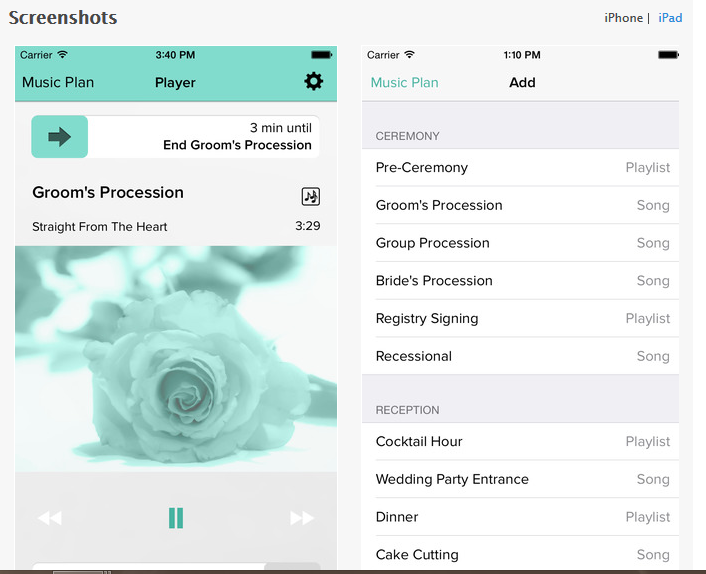 With the right tools and websites to help you expand and incorporate your wedding soundtrack, what’s next on the wedding planning agenda? How about planning the perfect honeymoon? Whether you’re searching for materials to create the perfect centerpieces for your wedding reception or personalizing bottles of wine or photo frames for your guests to take home after the wedding; it’s vital that you do your research. When I talk about research, I don’t just mean researching what kind of décor and wedding favors are out there that will fit your overall theme. 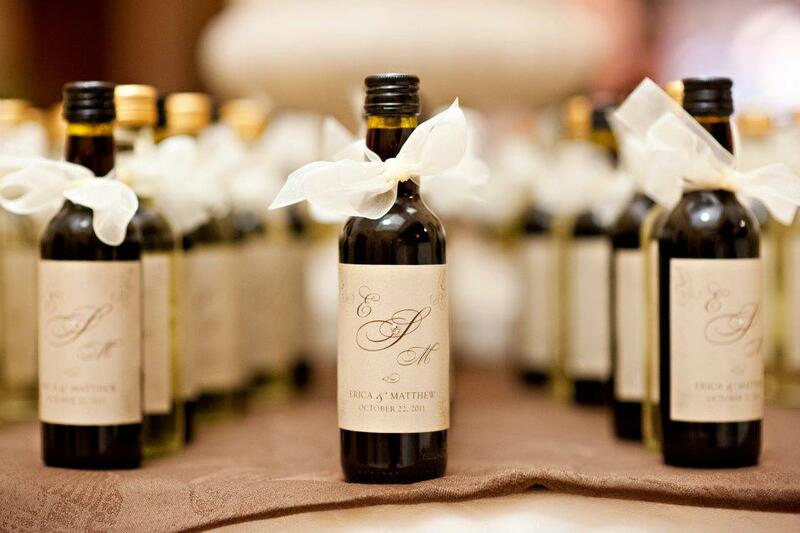 If you’re thinking about personalizing wedding favors or creating your own centerpieces and table runners, you need to do some extensive research to see whether or not it’s worth your time and energy to DIY some décor and wedding favors. Depending on your creative skill, you might discover that a DIY wedding décor project that you take on may take too much time and energy. Planning all the elements of your wedding is supposed to be as stress-free as possible. 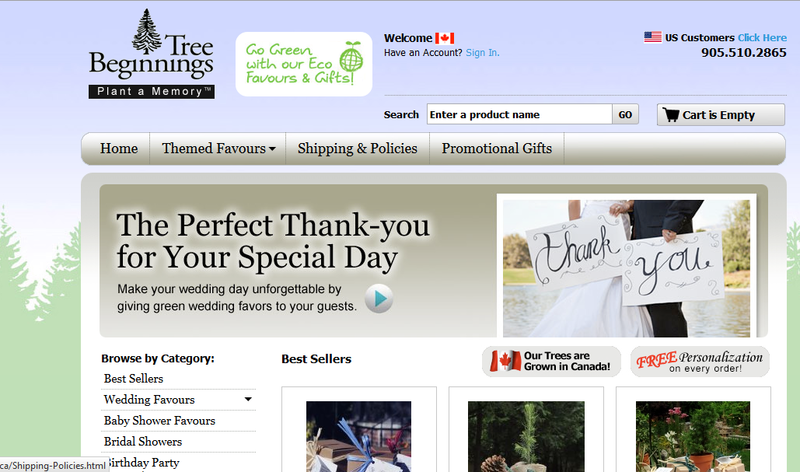 Keeping it in mind that shopping for and creating your wedding décor and favors should be as seamless, relaxing and fun as the rest of your wedding planning; here are the top 5 awesome websites (in no particular order) that I found that will help you find the perfect wedding décor and favors that will fit your theme and your culture, no matter what your culture is. Why It’s Awesome: You can order all kinds of personalized wedding décor and favors, from napkins to fans, wine glasses to photo frames. They also have an extensive section for Disney-themed wedding favors and you can also order edible wedding favors such as tea, wedding cookies and chocolates. In terms of décor, you can purchase lanterns, place card holders, bubbles and everything in between. Why It’s Awesome: This website is totally awesome because you can purchase handmade and indie wedding décor and favors from confetti to personalized coasters. 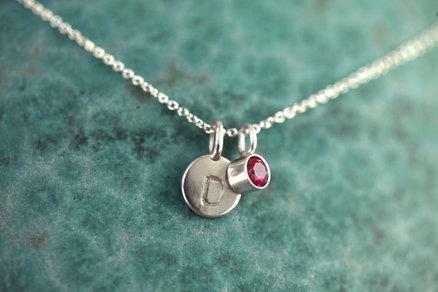 You can also order monogrammed vases, place card numbers, wildflower seed wedding favors and spice kit wedding favors. You can also purchase handmade centerpieces. Why It’s Awesome: For nature and garden inspired weddings, you can come to this website to purchase seeds for wedding favors! You can give your guests thoughtful wedding favors of tree seedlings, sunflower, daises or forget-me-not seeds and even flower bulb favors. If you have gardening fans in your wedding, you can also give them herb wedding favors. Why It’s Awesome: For anyone like me who is looking to plan an Asian cultural wedding, this website is absolutely amazing! It’s got literally everything you could want for Chinese, Japanese, Korean and Indian weddings. You can purchase a double happiness stamp to stamp your invites, a bamboo gift box, takeout cartons for wedding favors and even Asian themed cake toppers. I was blown away to discover that you could even purchase chopsticks as a wedding favor! 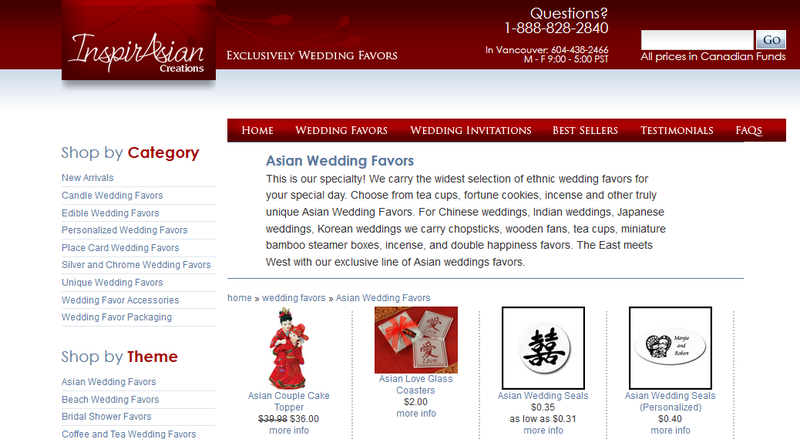 If you’re having an intercultural Asian wedding, I definitely recommend this website for wedding décor and favors! 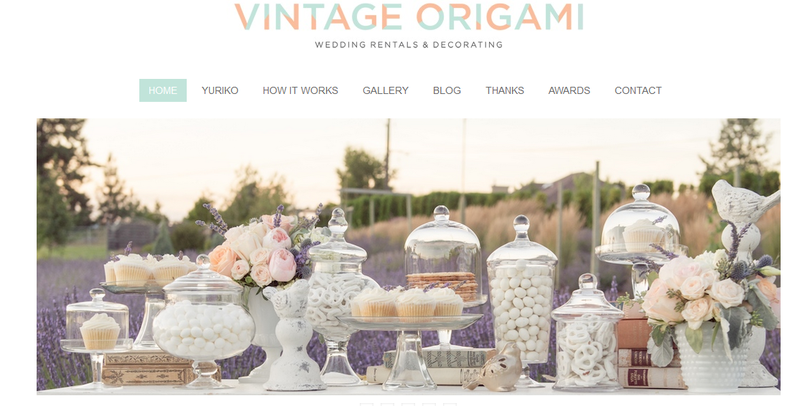 Why It’s Awesome: For the vintage inspired wedding, this website is definitely for you. You can rent everything from vintage glassware to decorate the tables at your reception to vintage luggage and typewriters to give your ceremony site some old-fashioned ambience. They also provide décor accents such as postcards, old-fashioned skeleton keys and candy bowls. Personally, I love any company that allows me to get my hands on vintage typewriter keys and even quill pens. What makes these websites the best for adding cool and unique wedding décor and favors to your wedding? Well, it goes beyond just having décor and favors for your guests that fit your theme and it incorporates everything from ethnic cultures to garden items that fit absolutely every wedding. With the right tools and websites to help you expand and incorporate fun wedding décor and favor ideas into your wedding, what’s next on the wedding planning agenda? How about finding cool ways to create your own wedding soundtrack? Keep your eyes peeled and stay tuned for ‘Day 7 of How to Use Social Media to Leverage Your Wedding Planning-Creating Your Wedding Soundtrack. You’ve booked your ceremony and reception venue, purchased your dream dress, ordered your favorite flowers and are en route to completing your custom, creatively unique invites-now what about photography? Now, when I talk about photography, I’m not just talking about having the elegance, sophistication and the professional edge of hiring a photographer. I’m talking about incorporating the fun crowd-sourcing element of having your guests take photos. You know your guests are going to have dozens of their own photos of your ceremony and reception that they’ll probably share with you via Facebook or Twitter, so why not incorporate this tendency of your guests into your wedding and give your guests and the bridal party new experiences that they’ve never had at any other wedding? 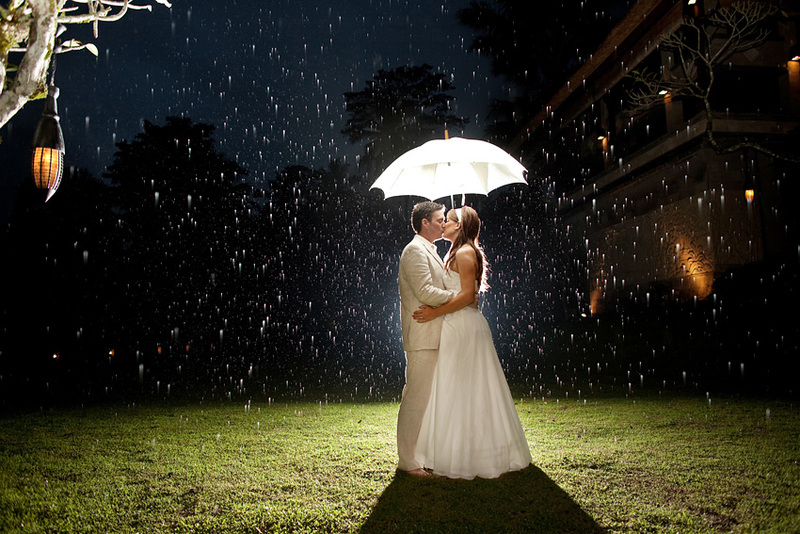 So what can you do to incorporate your guests’ love of taking photos? Well, I’m glad you asked! Below is a list of the Top 5 apps & websites (in no particular order) that will help you-and your guests-make the most of your wedding photography experience. 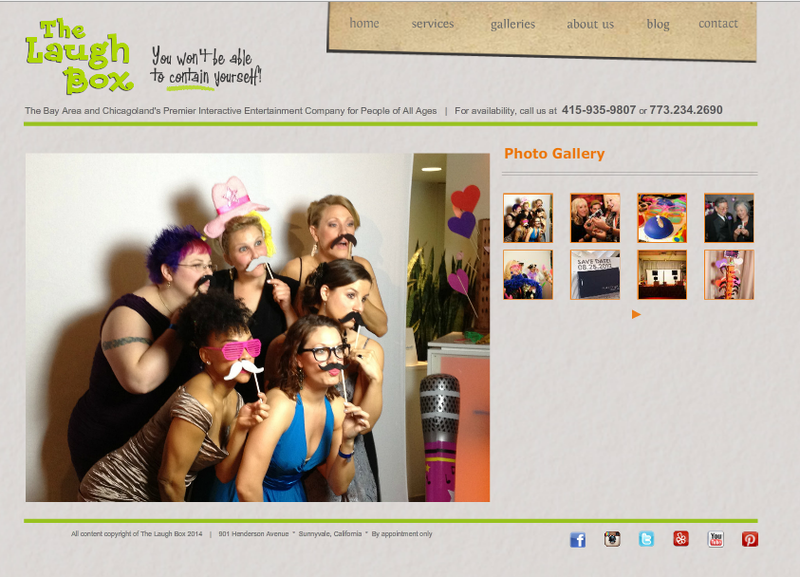 Why It’s Awesome: You can choose between the standard, branded or custom options for a photo booth. Depending on which option you choose, you can receive between 5-8 hours of service, an onsite attendant to help you and your guests with whatever you need, unlimited photo sessions, black and white photos, hosted web gallery and even Facebook and Twitter integration. Why It’s Awesome: Ok, yes, this company is a little different because it focuses on video rather than photography, but I chose it because it goes beyond just videography during the day of the wedding. You have the option of selecting packages that will chronicle your love story through an interview for your guests to view, have the team cover wedding highlights or select a cool package where your guests get to view your reasons for getting married in a unique save-the-date video. Why It’s Awesome: Looking more into this, I love it because it’s more than just an app. When you sign up, you can receive 5 HD cameras that your guests can use to capture all sorts of photos from your ceremony and reception. You send the cameras back and the staff uploads the footage. Video and photo editing can range from $250-$400, depending on your needs. All shipping fees are included in the price for the cameras. Why It’s Awesome: Once you sign up on the website, your capsule becomes your very own mini-website and you have several different options to add photos to it and even order your own prints. You and your guests can use their free Android or IPhone app to take photos and have them automatically uploaded to your Capsule and you can add photos to your Capsules with Instagram! Simply hashtag the Capsule join code to see your best instagram shots post instantly to your Capsule. If you have a wedding website on the Knot, it connects automatically with your Capsule and photos are uploaded as soon as they’re taken. You can share photos from your Capsule on social media, your guests can comment and like the photos you’ve posted in your Capsule and, you can use your own digital cameras to take photos and upload them into your Capsule as well. Why It’s Awesome: It’s a booth-less photobooth! Guest take photos with their phone or IPad, tag them on Instagram or Twitter with a specific hashtag and then the photos are printed at the photo station. That way, your guests can take as many photos as they would like, without having to line up for a turn in a photo booth! You can also create flipbooks by creating a short video clip print, and create a 60-page flipbook in under 90 seconds. Simply amazing! Every rental includes: A custom designed cover, complimentary DVD of videos from your event, set-up and breakdown and 2 full-time attendants and a box of laughs. What makes these apps and websites the best for adding cool and unique photography options to your wedding? Well, it goes beyond just having an app for your guests to take photos with and it incorporates unique guest interactivity with social media, websites and more-and gives you access to more wedding photos quicker than traditional methods. With the right tools and websites to help you expand and incorporate fun photography ideas into your wedding, what’s next on the wedding planning agenda? How about finding cool ideas for wedding décor and wedding favors? Keep your eyes peeled and stay tuned for ‘Day 6 of How to Use Social Media to Leverage Your Wedding Planning-DIY Wedding Décor & Favors. So you’ve found a great ceremony site and an awesome reception venue, maybe you’re currently working on getting your really cool and creative ‘save the date’ reminders out to your guests or trying to find a great photographer. But what about one of the most important dresses you’ll ever wear for a monumental occasion? 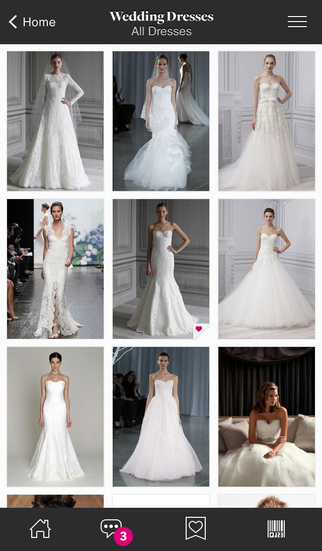 There are literally thousands of options for a wedding dress. There’s several different silhouettes from A-line to ball gown and even the option to have unique color accents on a white dress. I’ve seen blue, red and black accents on white wedding dresses. And if you don’t want white for your wedding dress? No problem! You’ve got plenty of choices, cream, ivory, pink, blue, red, nearly any color you could think of. What if you want a dress that reflects your heritage, such as a sari or Chinese cheong sam? Well, there are a wide selection of dresses to fit any cultural tradition too, all you have to do is look. But, with all the stress that comes with endless searches, dress fittings and even the horror of having your dream dress permanently ruined, how can finding the perfect wedding dress be fun AND stress free? Let me show you how, using some of the best websites, social media platforms and apps to find your perfect wedding dress. Why It’s Awesome: This great app comes from by Condé Nast Digital (the company responsible for Brides.com). You can browse for wedding dresses by silhouettes, brand and price and when you land on an image of a dress that you like you can tap it to flip through similar galleries or to locate a store in your area. You can also access more expert tips and Brides advice, save your favorites and categorize ideas in custom folders for easy access and/or to share with vendors and create drag and drop inspiration boards on BridesWeddingGenius.com with items you’ve uploaded on the go. 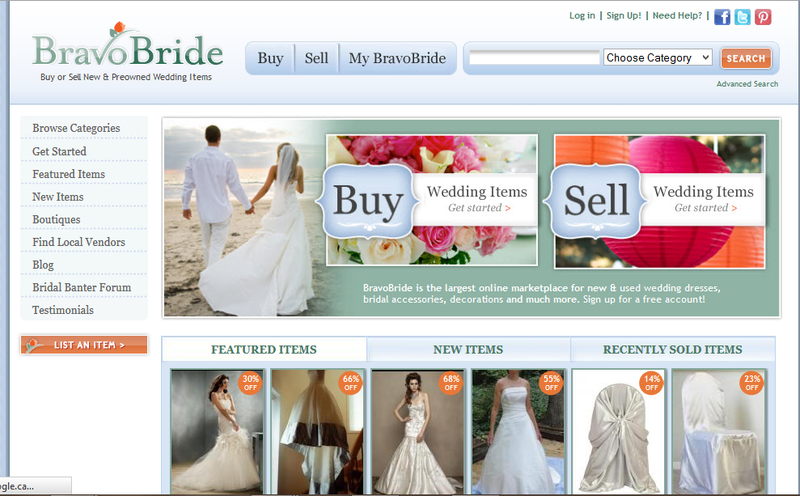 Why It’s Awesome: This website turns the concept of buying used or pre-owned wedding dresses on its head. How? Well, you search the website for a wedding dress with the ‘Sell It Back’ symbol, purchase said perfect dress, wear it on your big day and then sell it back to the website. If you sell it back within 2 months of your big day, you can get up to 50% of the price you bought it for-back! If you sell it back within 3 months, you get 40% and you’ll receive 30% of the original price back when you sell it within 4 months of the big day. 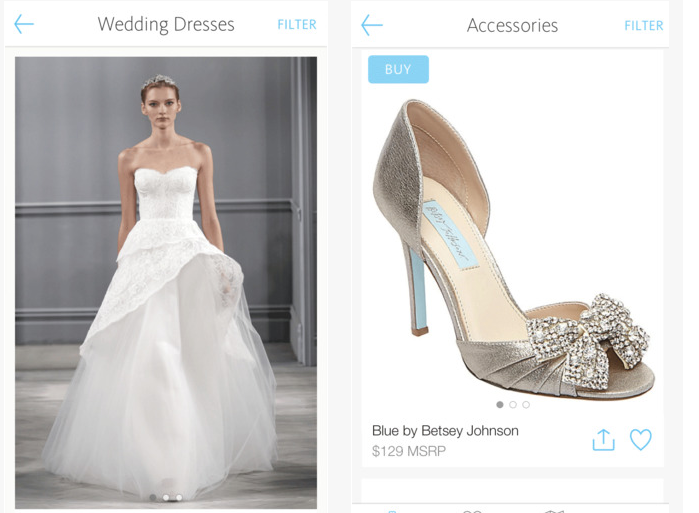 Why It’s Awesome: Think of it as your on-the-go for wedding dress shopping on your iPhone from TheKnot.com — from wedding dress suggestions, customized to your body type and wedding style, to the bridal salons in your area that carry your favorite designs. With this app, you can: get suggested wedding dress search results based on your body type, wedding style, and personality. Search the hottest new wedding dresses — by style, shape, price, and designer — and bookmark your favorites for later as well as find bridal salons in your area that carry your favorite dresses. Why It’s Awesome: You can search for used dresses on this site based on silhouettes and save them as your favorites. You can purchase and sell your used wedding dress on this site as well as search affiliated wedding boutiques and talk with other brides on the forums. 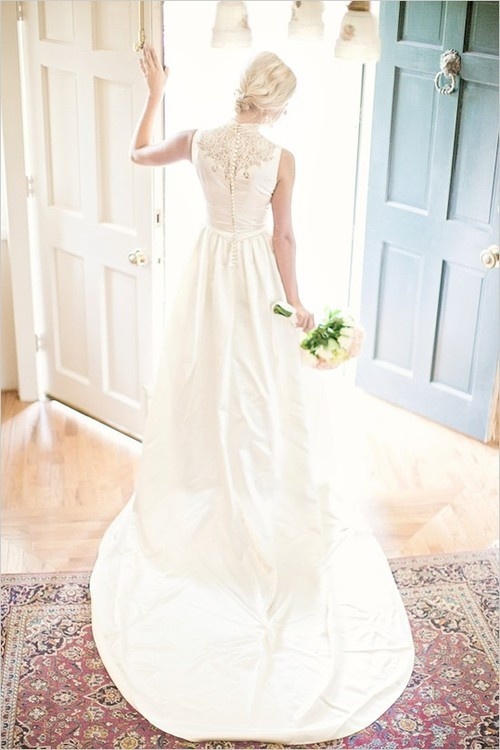 What makes these apps and websites the best for finding your perfect dream wedding dress? Well, not only can you search for all styles of wedding dresses quicker and in the palm of your hand with easy-to-use and fun apps that are affordable, but you can also find where to purchase your dream dress much easier and quicker. You can also create inspiration boards and flipbooks for your favorites as well. With the right tools and websites to help you find the perfect dream dress, what’s next on the wedding planning agenda? How about coming up with creative and fun invitations that uniquely reflect you and your relationship and spicing things up with cool ‘save-the-date’ reminders? Keep your eyes peeled and stay tuned for ‘Day 3 of How to Use Social Media to Leverage Your Wedding Planning-DIY Your Own Invitations & Save the Date Ideas’. If you’re newly engaged and find yourself overwhelmed by questions from family and friends and the sheer amount of things that have to be done for a wedding, from getting a reception venue to finding a photographer; this blog series is for you. With this blog series, I’m going to show you how social media can make finding the perfect wedding dress, the right photographer and the best ceremony and reception venues-easier and quicker. Not only that, social media can add a creative marketing flair to your wedding, including helping you discover how DIY elements can give your wedding a unique individual flair not seen anywhere else. -Ask other engaged couples for help, all over the world-no matter what time it is? 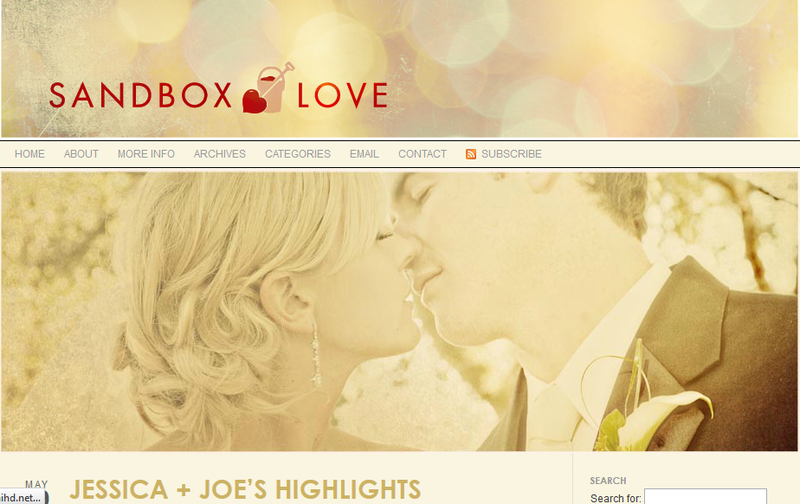 -Discover fun ideas for your first dance and for your vows. -Always keep your wedding budget (including graphs of how much you’ve allocated to each element of the wedding) in the palm of your hand. For the next 8 weeks, I’ll be showing you how to use social media to do all of these things for your wedding and more. First up, Day 1: How to Use Social Media to Leverage Your Wedding Planning: Finding Your Ceremony Venue. In the meantime, check out this awesome slideshow on a few important questions you should be asking about weddings.